Disciples Women is a national program in the Christian Church (Disciples of Christ) aimed at connecting and empowering women to live out their faith in our complex world. A typical meeting of Disciples Women may include a Bible study, a meal, or a mission project. Disciples Women from First Christian also participate in regional and national retreats and workshops. In addition, First Christian’s Disciples Women prepare, collect, stage, and sell concessions in our Fellowship Hall on UA home football game days. The women at First Christian meet in three “circles” to accommodate different schedules. The meeting schedules below are a general guideline. For this month’s meeting time and location, check the church calendar or contact the church office. Hope Circle meets on the 1st Monday of each month at 9:30 a.m. in the church Fellowship Hall. Serendipity Circle meets on the 2nd Monday of each month at 5:30 p.m., usually at an area restaurant. Circle I meets on the 2nd Tuesday of each month at 10:00 a.m. in the church Fellowship Hall. 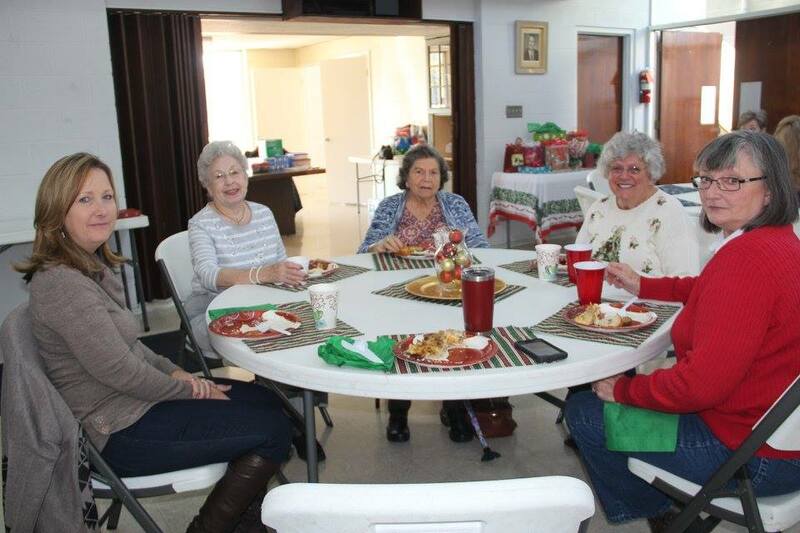 On a semi-regular basis, the Disciples Women groups will also hold a general meeting at a time convenient for a majority of the members of all three groups. Check the church calendar for dates and times. First Christian Church (Disciples of Christ) Tuscaloosa is a welcoming place where people love kindness, do justice, and walk humbly with God. A church where seeds are planted by God’s grace and rooted in Jesus Christ. A place where everyone is welcomed at Christ’s open communion table and nourished to go forth and serve.